We meet at the corner of Fifth Avenue and Chestnut Street in Coraopolis, PA, on the northwest side of Pittsburgh and about ten minutes from Pittsburgh International Airport. Please note that while our address is 505 Chestnut Street in Coraopolis, GPS systems tend to get it wrong! 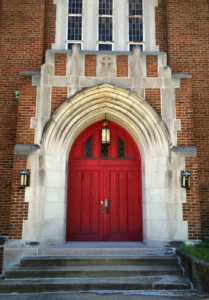 It is safest to travel to Coraopolis and then use the GPS only to locate the intersection of Fifth Avenue and Chestnut Street, where you will see our church sign and our big red door. For more information, please call 412-329-7358 or email pastor Mark Garcia.